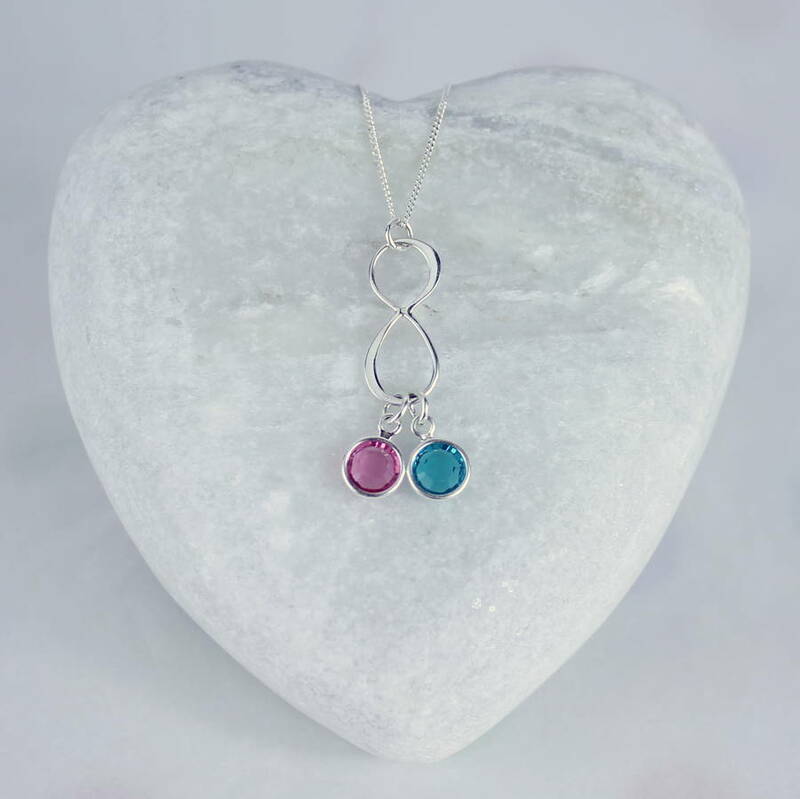 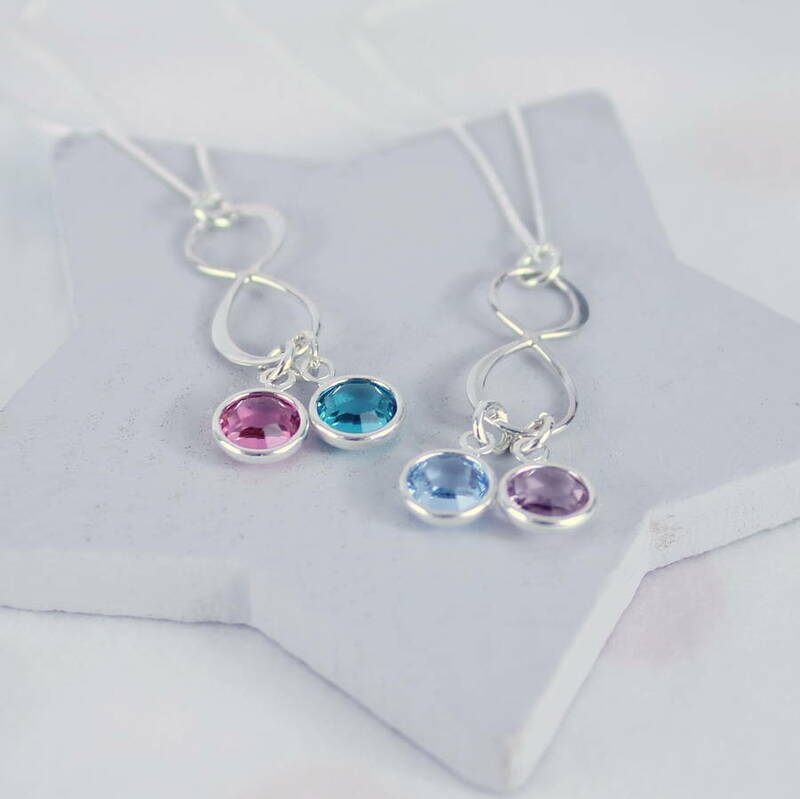 A beautifully delicate sterling silver infinity charm necklace with your choice of Swarovski crystal charms. 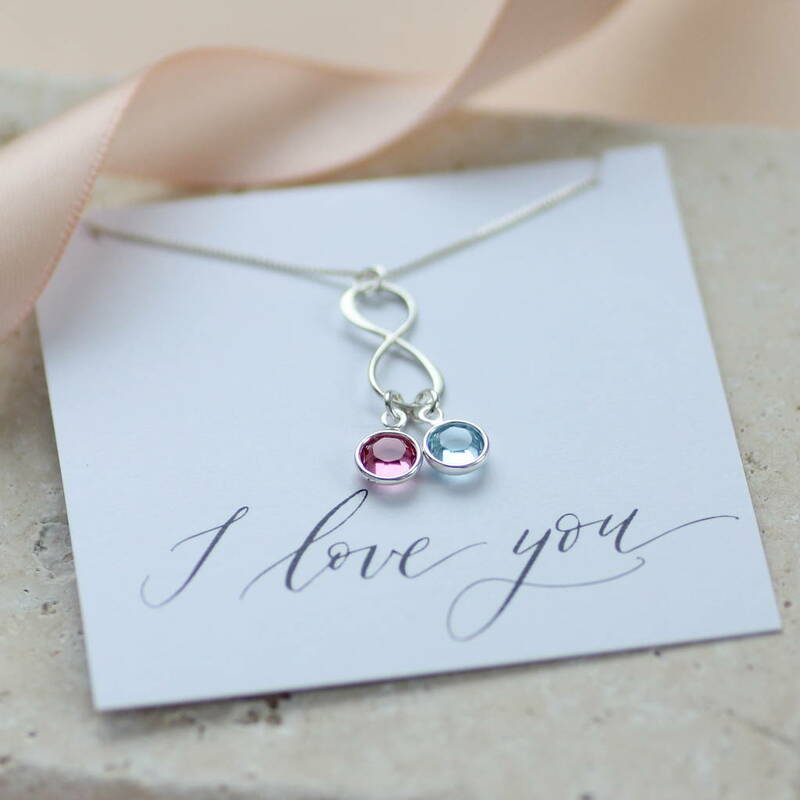 This pretty little pendant would makes the perfect sentimental gift. 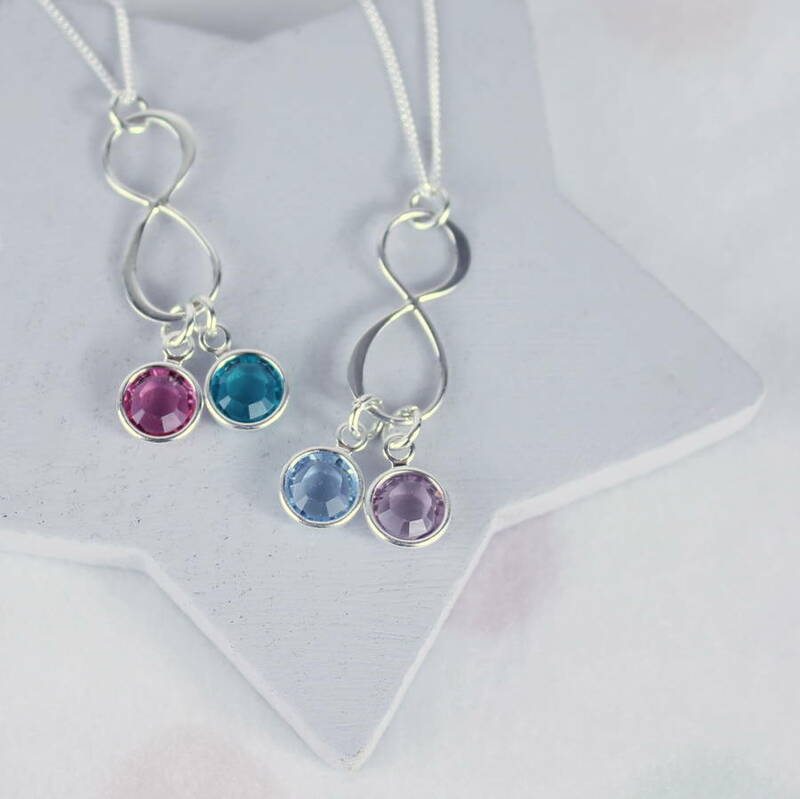 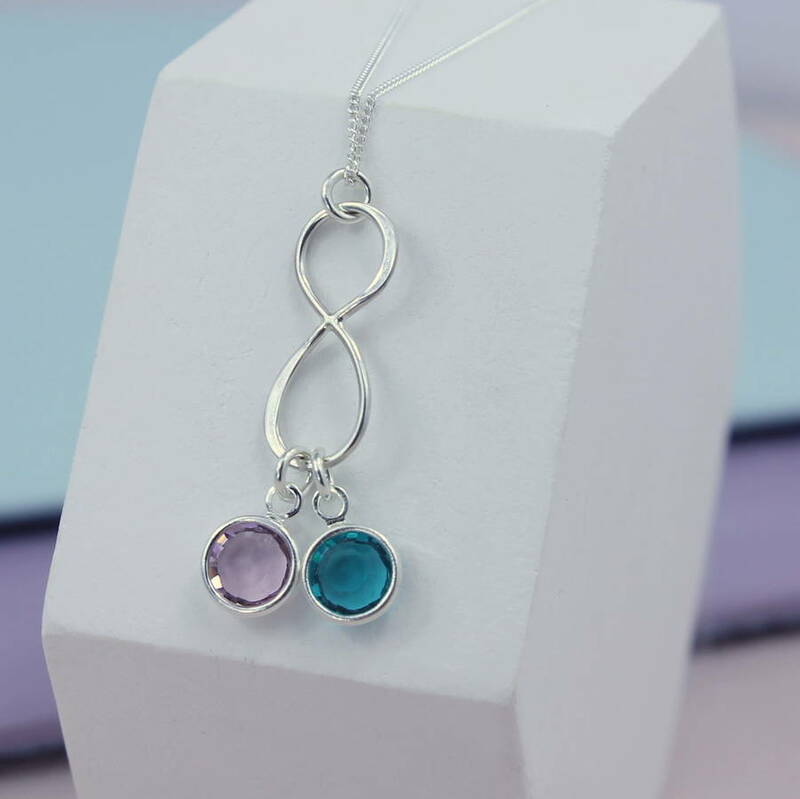 This treasured keepsake necklace is intended to represent the birthstones of two people together for infinity, whether they be a couple, best friends, twins, mother and daughter, or sisters; the necklace can represent any close bond. 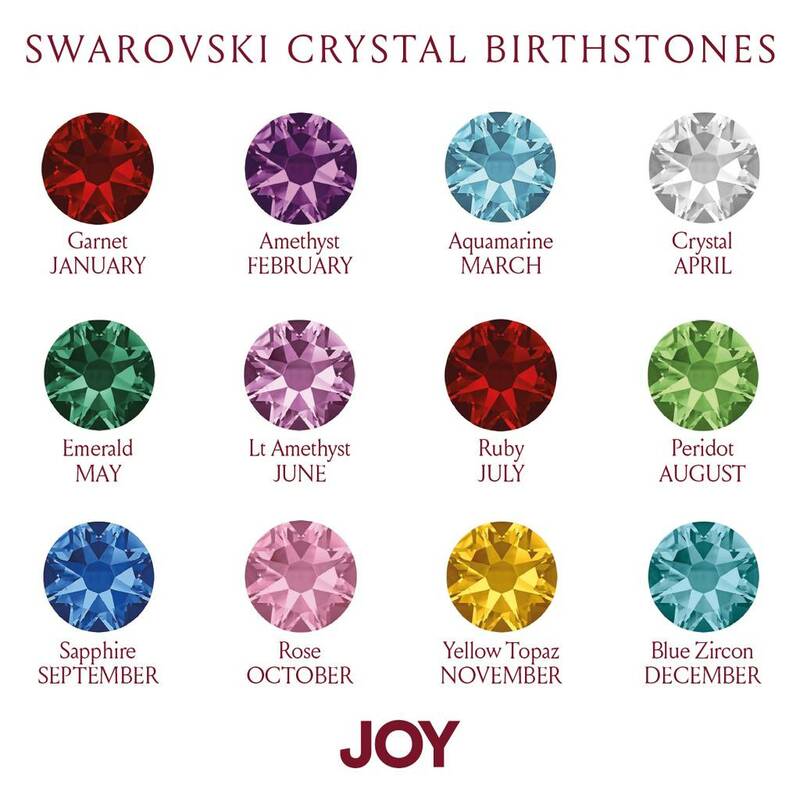 Keep your loved one in your thoughts and close to your heart by choosing the appropriate birthstones. 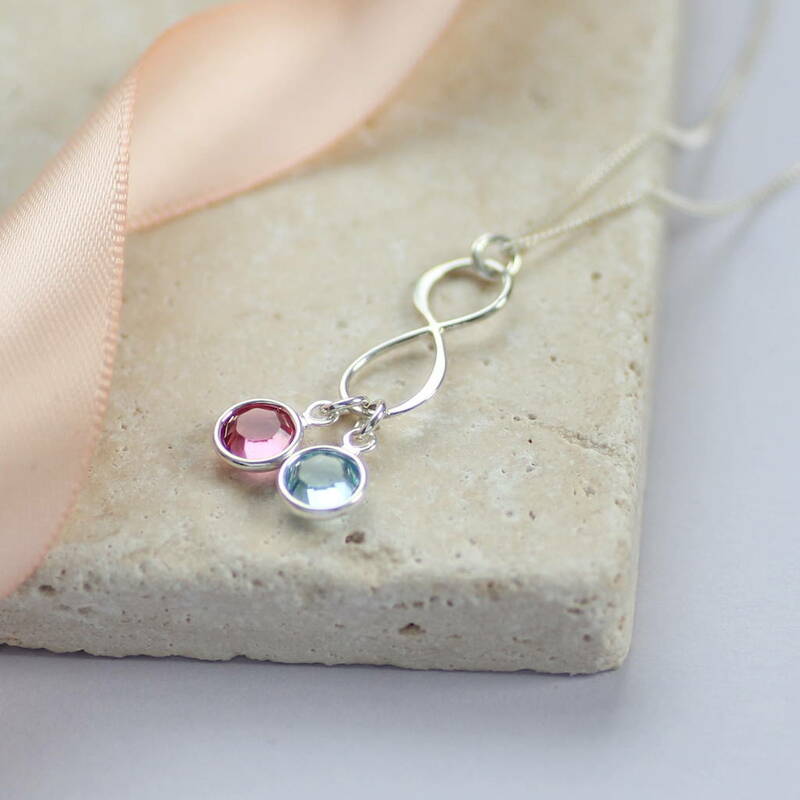 The pendant makes the perfect thoughtful gift for any occasion. 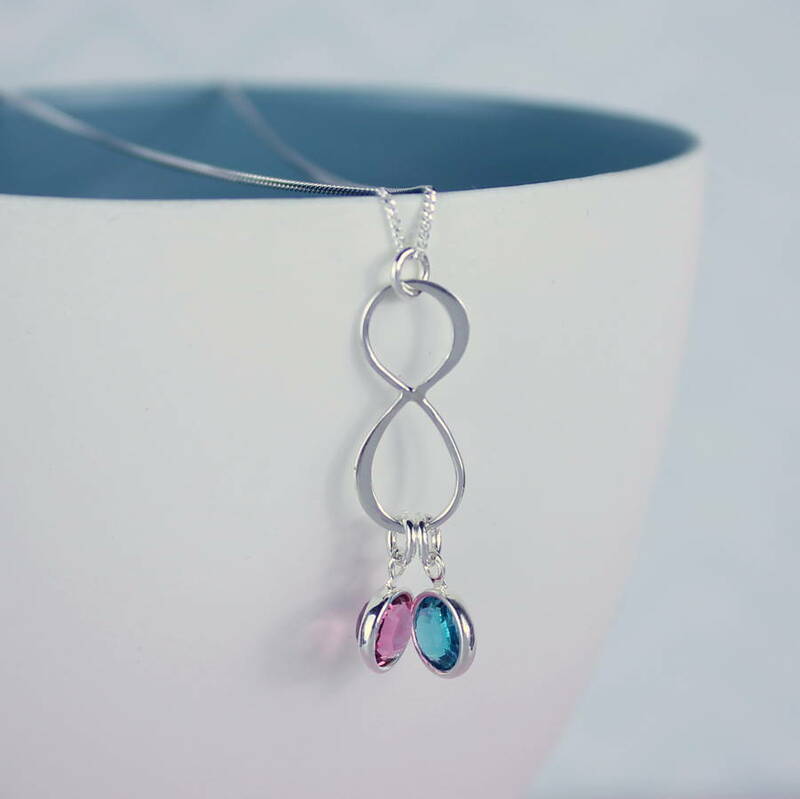 Infinity symbol measures 2cm x 0.8cm.